A Credit card compare site will lead to an amazing Discovery. Discover the convenient world of credit with Discovery. 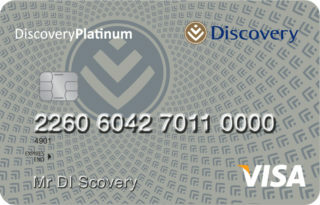 With a Credit card compare site you can discover all about Discovery credit facilities. Discovery is interested in taking care of your overall well-being. They focus on your health and encourage a lifestyle to keep you in shape. Their goal is to help you make healthier choices that will benefit you and your family for years to come. Their credit facilities offer two credit account options, a Platinum Card, or a Gold card. Each card has its set of terms, conditions and benefits. To apply you need to earn a salary of R30 000 per month or around 350 000 per year. Monthly rates are R60 bank charges, R15 for credit costs and an extra R25 joins all your cards to the credit account. As a Member with a Platinum account, You receive All the Gold account Perks and a Few more. Unlimited access to Discovery’s assistance, in any transaction you make or service you may require. Visa also gives you their backing on anything you buy, by adding an extended 24-month guarantee to that of the store’s, from the date of purchase. Visa adds a second benefit, in securing any loss or unintentional harm to the product you bought, for a short period. You have a period of more than 54 days, where no interest is charged to the credit you have used. Make all your travelling payments with your Gold Card and you will not have to pay extra in order to roam around in another country. You receive regular electronic mail of your credit reports every month. Corresponding notices will be sent to your mobile number (via SMS), in the matter of spending more than R100 in one transaction. This notice will include the total of the purchase and the time period. If you did not make this purchase, then immediately notify them of the situation. After ordering the Gold Card, it will be conveniently sent to your front door, without any added charges. You can also make use of their safe and accessible online facilities which includes the option to alter your card’s safety code.